For lack of things to blog about at the moment, I thought I'd share with you my loot from my latest couponing adventure. 1) Learned how to change a diaper. I had never changed a diaper before and my first attempt was in the NICU with Jadon. Talk about nervousness with the nurse standing close by and a preemie to change. Now, I'd like to say I'm pretty darn good with diapers. 2) Became incredibly informed on childhood development. Not only did I read a baby book with Jadon, but I also took not one but two "Infancy and Childhood Development" courses in college. Why two? I took the first one as a non-major class before I changed majors and needed the major class. Also, basically every psychology class has some sort of childhood development involved. 3) Learned American Sign Language basics. From previous posts, you can tell how much I love using ASL with babies. I started some with Jadon but really kicked it up with Isabelle. I'd like to attribute Isabelle's language boom to ASL and it's amazing to be able to communicate with your child at such a young age. They both have something they learn together now and it's amazing to watch how quickly they pick it up and how much they enjoy it. 4) Learned how to make my own baby food. Yes. That is an odd one. I'll even admit to that. I completely forgot that I had done this. Sure, I have a bad memory, but I did this for like 6+ months. Come on... I think I actually literally forgot that I was doing this and so I stopped and then she didn't need it anymore. I started doing this to partly save money, but mostly because it was healthier. 5) Became a babywearer. I never had a baby carrier with Jadon which I sorely regret since he needed to be held so much, but I got an Ergo baby carrier as a gift from Isabelle's baby shower and my interest in babywearing grew from there. 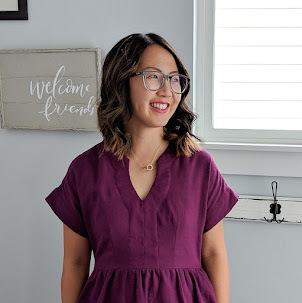 I purchased a Moby wrap for the newborn stages, which I highly recommend, and carried (or "wore" as you say in the babywearing world) Isabelle for several hours a day. She was bad at sleeping so this was a lifesaver. When the Ergo didn't work for me when Isabelle got old enough for it, I turned to the babywearing world to find a solution. To make a long story short, I have tried just about every type of carrier out there and have accumulated a ton of carriers along the way. 6) Learned how to cloth diaper. To go along with all the other hippie things, I also turned into a cloth diaperer with Isabelle. To mostly reduce waste and to save money too, I researched cloth diapering for a long time before having Isabelle. I settled on BumGenius and haven't had a need to stray away from that brand. I didn't cloth diaper her much at night or use cloth wipes, but the cloth diapers alone have saved me a lot of trips to the store to get more diapers. 7) Became a baby product addict. I am so well versed in the baby product world that I feel as though I owe it to myself and others that I share my knowledge by working in a baby store some day. Partly joking there, but I am an over-researcher so I can talk to you about strollers, baby carriers, diaper bags, and other fun baby related items, as well as where you might be able to find them on sale. I think that about sums everything up. I can't really think of much else to add. It's amazing what you can learn when you want to.